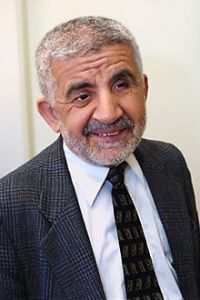 Mahmoud M. Ayoub is a faculty associate in Shi’ite Islam and Christian-Muslim relations affiliated with the Macdonald Center for the Study of Islam and Christian-Muslim Relations at Hartford Seminary. Ayoub is also a visiting professor at the University of Balamand in Lebanon and editorial consultant for the Oxford Dictionary of Islam. From 1988 to 2008 Ayoub was a professor and director of Islamic studies in the Department of Religion at Temple University. His publications include The Crisis of Muslim History: Religion and Politics in Early Islam (2005), Islam: Faith and History (2004), and The Qur’an and Its Interpreters, vol. 1-2 (1984/1992), as well as numerous articles and book chapters. Born in South Lebanon, Ayoub earned a B.A. at the American University of Beirut, an M.A. at the University of Pennsylvania, and Ph.D. at Harvard University.